launched an online survey to gather data regarding the demand, skills and expectations of data science workers and learning initiatives. Such data will enable us to develop multi-platform and multilingual learning resources that meet the needs and expectations of data science learners and data science managers. 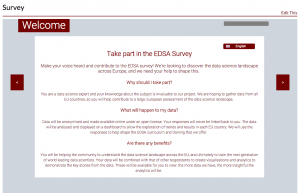 If you would like to help us to develop an established and reputable curricular framework for creating the next generation of world-leading data scientists, please fill out the survey located at http://edsa-project.eu/resources/survey/. 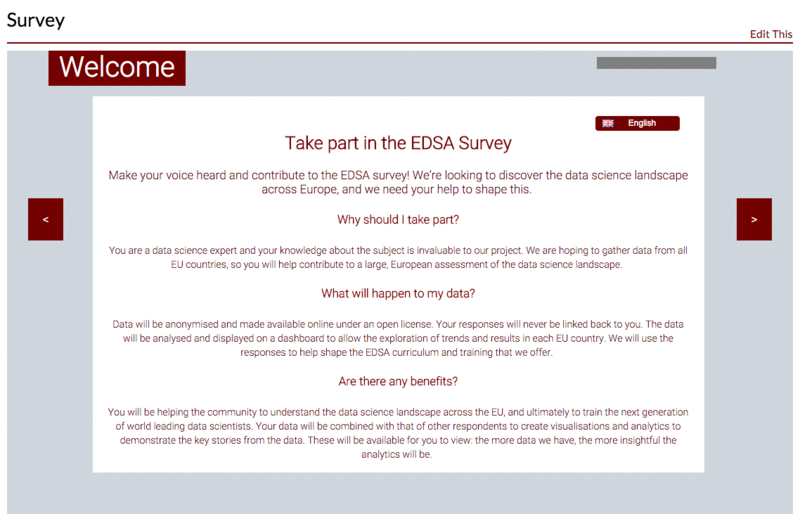 If you would also like to become an EDSA partner please visit http://edsa-project.eu/overview/join-us/ to see our partner roles and benefits.